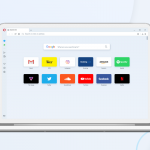 Opera 49 beta – Share the web like never before with snapshots and selfies. Opera 49 is primed for the beta stage. 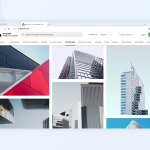 We are excited to share with you the new features and improvements. We love to find new things on the Internet, but for the past 20 years, when wanting to share content with each other, very often we send links and print screen dumps. Now, we believe it’s time for a change. This year we set out to really rethink how the web browser of the future should work. With today’s beta release, we have included yet another important improvement in order to make sharing content more fun and personal. Pencil, to draw directly on the snapshot or underline text. After editing a snapshot, copy and paste it instantly to any messenger or page, or save the file locally. Ctrl + W (⌘ + W) will close the snap window. Ctrl + C (⌘ + C) is a new copy function that will capture your screenshot and copy it directly to the clipboard. This is useful if you know that you do not want to use the editing tools while bypassing the snap editing window. The snapshot tool will close after hitting Ctrl + C.
The original “Copy” button has changed to “Copy and Close.” Once clicked, the edited image is copied to your clipboard and the window is closed. Easy Setup takes over for the previously labeled “Customize Start Page” panel found in the top-right corner of the Speed Dial. 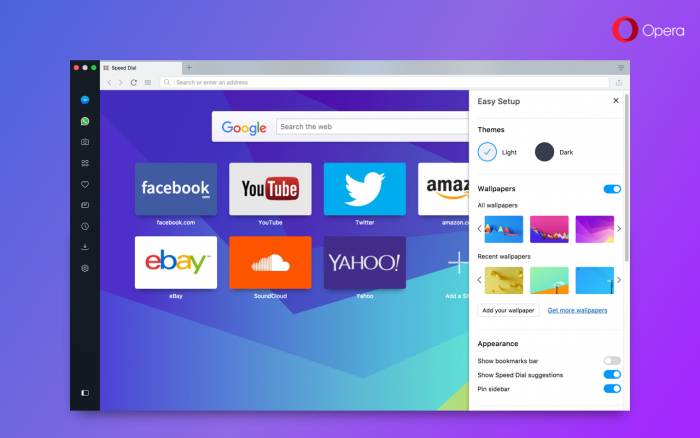 Along with its redesigned layout, Easy Setup provides an all-in-one panel to help first-time users set up their Opera Browser while providing seasoned users a shortcut to commonly configured features. 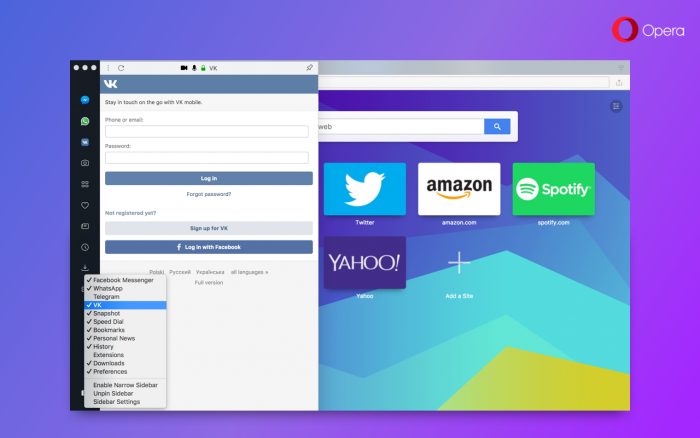 Inside Easy Setup are switches to help customize how your Opera Browser will look with themes, wallpapers, sidebar options and so on. We placed the most commonly accessed and tailored settings in the panel, including ad blocker, downloads location and importing bookmarks. If you wish to tinker even further, a link to the full settings page is found at the bottom of the Easy Setup panel. Recently, we reorganized the O-menu to make it cleaner and more contextual. We also added list of recently closed tabs and windows in History menu item. Today’s beta build improves the way that list works. Your browsing history across multiple windows is now recorded into a single place. With this “global” history, no matter from which window you will access the history menu, it will contain the same list of closed tabs. 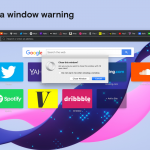 This allows you to close a tab in one window and reopen it in another. Some months ago, we introduced to Opera a dark theme, and since then, thanks to user feedback, we have improved this theme. Likewise, we have adjusted the lighting and appearance for private browsing mode on Windows and Linux. It was said that the original appearance of private browsing was a bit harsh on the eyes due to the very dark background contrasting with the light tabs. Now, private mode closer resembles regular light theme mode with an appropriately matched dark address bar. We feel this alteration is enough to signify you’ve entered private browsing mode without causing eyestrain. The private browsing icon has also changed. 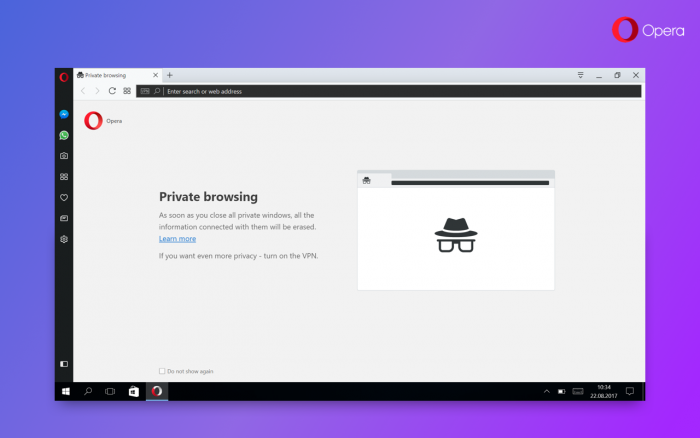 Now, a faceless man with glasses and a fedora will welcome you to your private browsing session. The first version, introduced with Opera Reborn, wrongly suggested that the user had entered a reading mode. 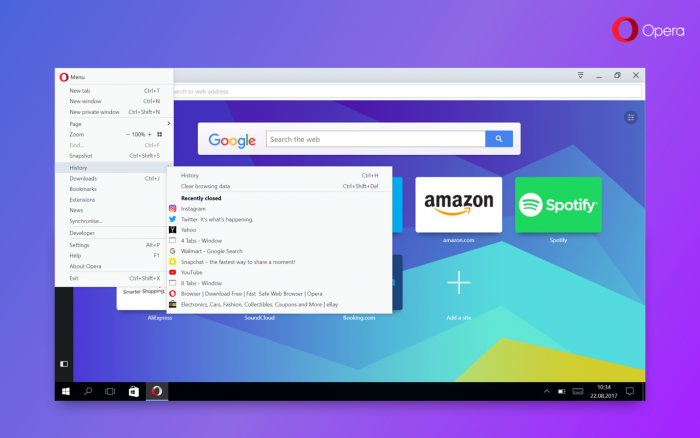 The latest build offers custom placement of your extensions in the toolbar. Now you can place and group your extensions to your liking and benefit. Previously, extensions were ordered in accordance to their installation date. VK Messenger is now available as a built-in sidebar communicator, joining Facebook Messenger, WhatsApp and Telegram. Our Russian friends will see the VK icon right away in the sidebar, while others will need to right-click the sidebar to open the context menu and select it from the list. You can open and cycle through your messengers with Ctrl + Shift + M (⌘ + ⇧ + m for macOS). [Mac] Icons in the right corner of address bar weren’t aligned. [Mac] Updated bookmarks folder icon in bookmarks bar. [Mac] Choosing internal / dedicated GPU support was broken. [Mac] Icons in the right corner of the address bar weren’t aligned. [Mac High Sierra] Exit full screen – black line between tab bar and menu bar. [Win] “Mute tab” button was incorrectly displayed. Adblock/VPN pop ups were totally misplaced. Fix for animated wallpapers in the recent wallpapers’ section. Fix for pop up blocker. Fix for “My sources” in personal news. Fixed typo in experiment’s name #personal-news-notifications. Show spinner while wallpaper is being installed. Update VPN icon in the address bar. VR360 will be re-enabled in an update to Opera 49 beta. Chromium version is 62.0.3202.29 .